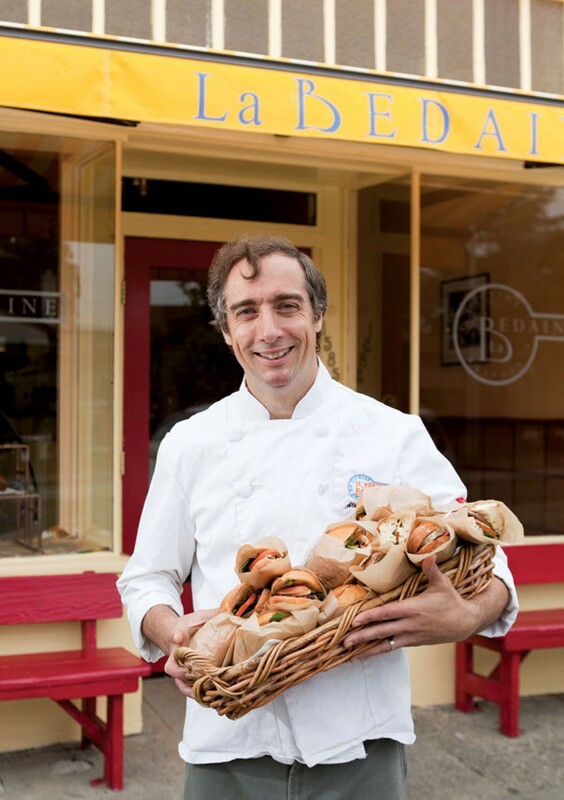 With a distinctively cheerful yellow awning and an eclectic stock of prepared food items, La Bedaine has emerged as real neighborhood favorite since it opened last year in North Berkeley. The shop's name literally means "workshop" and, according to Chef Alain Delangle, it's what the French call a "traiteur" (or caterer). It's not quite a charcuterie, not quite a pastry shop, but combines elements of both — a place where customers can buy both savory and sweet items. At La Bedaine, you can pick up a sandwich for lunch — a baguette topped with pork rillettes or pâté, all made in-house. You can choose from a wide variety of pastries and other desserts, most priced too low to be true, including the best tart tartine in town. You also can pick up a package of smoked salmon or smoked sausages (both $4) that will likely be the best you've ever had. And perhaps the most clever innovation: cryo-vacked packages of homemade French meals. Bring one home, boil a pot of water, stick the package in, and — voila! — you've got coq au vin or braised beef cheeks for dinner on a weeknight.